How do I get maximum surf time out of my Surfmud Tinted Covering Cream? Surfmud Tinted Covering Cream is an all day waterproof barrier protecting against the harsh conditions faced by surfers. To maximise its effectiveness and your surf time we recommend rubbing the zinc into your skin in a circular motion as you would a normal lotion – then finishing with a second visible layer. Note the layer of Surfmud does not need to be thick – just rubbed in and spread evenly to the areas you want to protect. Zinc is a physical barrier so if you can see it you will be covered. Can I apply Surfmud under my eyes and to my forehead? Yes – Surfmud will NOT wash into your eyes. Surfmud also has NO chemical blockers or preservatives which can irritate eyes. Surfmud can be applied underneath the eyes and on top of your eyelids – be careful not to rub Surfmud into the eye. How often should I re-apply Surfmud? Apply Surfmud as recommended and you will get extended surf time out of it. We recommend to re-apply every 4 hours. How do I remove Surfmud from my face? The best way to remove Surfmud is to use face-cleansing wipes then wash your face as per normal. Other than that you can do what we do and have a dedicated Surfmud washer ready to go in the shower. How do I remove Surfmud from my clothes? Can I take Surfmud into the water? Yes our custom tins have been specifically designed for you to take out in the water with you. They fit perfectly in your pocket and are water tight – great for those epic days when the waves are on and you don’t want to come back in to re-apply! I left my Surfmud in the car and it melted – can I use it? Surfmud will melt if it becomes very hot. Surfmud is best stored under 25 degrees celsius and will melt at temperatures over 75 degrees celsius. We understand that many surfers will leave Surfmud in the car where it could potentially melt. If your Surfmud does get too hot and melts – put it in a cool place until it resets. It should be fine to use once reset but we recommend that you do not allow this to happen repeatedly. Surfmud contains NO Nanoparticles. Our zinc is the visible zinc and this is why we use the Iron Oxides to colour it from bright white to skin tone. We use regular Zinc Oxide because we believe it’s the safest UV blocker available. Does Surfmud come in different skin tones? Currently Surfmud is available in one skin tone. The colour is brown – the more you apply the darker it is – the less the lighter. 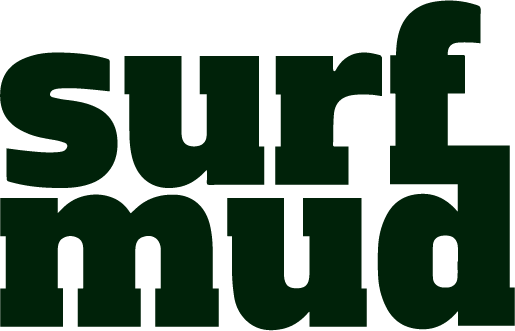 I have sensitive skin can I use Surfmud? Surfmud™ contains 30% Zinc Oxide. Zinc oxide is nonirritating, nonallergenic and non-comedogenic. We add: Coco Caprylate/ Caprate, organic bees wax, natural lanolin, Australia clay and iron oxides for natural colour. © 2019 SURFMUD natural zinc.